This year BUPRSSA will host its 6th Annual PR Advanced conference-PR Advanced Unleash our Generation. This year’s conference is going to go above and beyond what any conference has done in previous years. This year the conference is aimed to enhance the minds of young PR students as they are immersed in a positive zone full of knowledgeable professionals as they learn the unspoken tricks of the PR industry. So how will going to this year’s conference, advance you? You will be meeting some of the most high profile PR names in the industry. 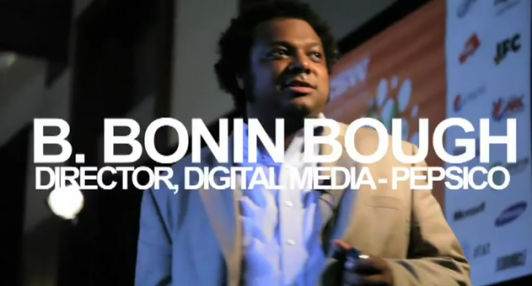 Keynote speaker of this year’s conference, Bonin Bough SR. Global Director of Digital media at PepsiCo, will start the conference off right by sharing his experiences working in the realm of social media and what you can do to become successful. Later you will be able to attend a new media panel. This panel will consist of speakers from The Next Great Generation, USA Today and other Social Media Experts. Through this panel we aim to enhance your knowledge of new media and how you can implement it in your daily lives to become successful in your career. The next Section of the conference will be a speed networking session in which you will network with employees and HR reps from some of the most high profile agencies in Boston and NYC. Remember, this conference is all about you, and letting some of the most high profile PR execs to know who you are. Don’t forget to bring your resume, so you can show people all of your accomplishments! Following an hour of networking, you will be able to attend a startup panel and a personal branding panel. The mission of this year’s conference is for you to lean as much about the different realms of PR and hear professionals speak about their experiences. One of the major downfalls of education in this day and age is the lack of real world experience and interaction with professionals. By going to PR Advanced Unleash our Generation you will be taking the measures needed to become successful in the PR industry. The conference will end with a networking event where you can meet the Conference Panel Participants. If this line up of events does not make you want to go to this years PR Advanced conference, we don’t know what else will. We hope to see you there, and embark on a day full of networking with you!